Indy VegFest is back again for the 3rd year! This wonderful evening was out at the Biltwell Event Center again this year and was just as amazing and just as jam packed with wonderful food, people, events, talks and wonderful vendors. Last week, the American Heart Association held their Go Red for Women Luncheon at the Palladium Center for the Performing Arts, an absolutely stunning venue. The event was packed with wonderful activities like the Smoothie Welcome sponsored by Community Health Network, the Red Lip Touch-ups by Estee Lauder, Hair styling by Drybar, the Go Red Fashion Show, a live auction, tons of delicious food and more. I am honored to have been invited to the event to document this wonderful program to raise funds for such a great cause. I am honored to have been asked back out to the annual Indiana Biomedical Society’s conference at the Sheraton City Center. There were tons of wonderful vendors and breakout sessions for all of the attendees, a luncheon, and a fabulous keynote speaker. It is always great to see so many professionals furthering their careers in the interested of helping others. Yesterday was the Indy VegFest Holiday Market out at the lovely Biltwell Event Center on the south side of Indianapolis. The event was even larger than last year and featured tons of great vendors with food, beverages, art, and much more. Last week I was fortunate to join the American Heart association at their STEM Goes Red event out at the Center - an awesome venue full of large rooms and giant windows for an inspiring setting for all of the students that attended the event. It has been such an honor to photograph the Eiteljorg Museum of Western Art’s big event The Quest for the West for 5 years now. Every year I get to see phenomenal western art by so many wonderful artists that come into town for this big event. This year was no exception, with a gallery absolutely full of stunning paintings, drawings and sculptures. For the last several years, I have had the honor of documenting the Culinary Collage to benefit the Fletcher Place Community Center. This great event has food from various vendors throughout the city including Kroger, Pure, Proverbial Grounds, The Red Lion, Starbucks, Table at Market District, Carrabba's, DeBrand, and the German Amberican Klub. 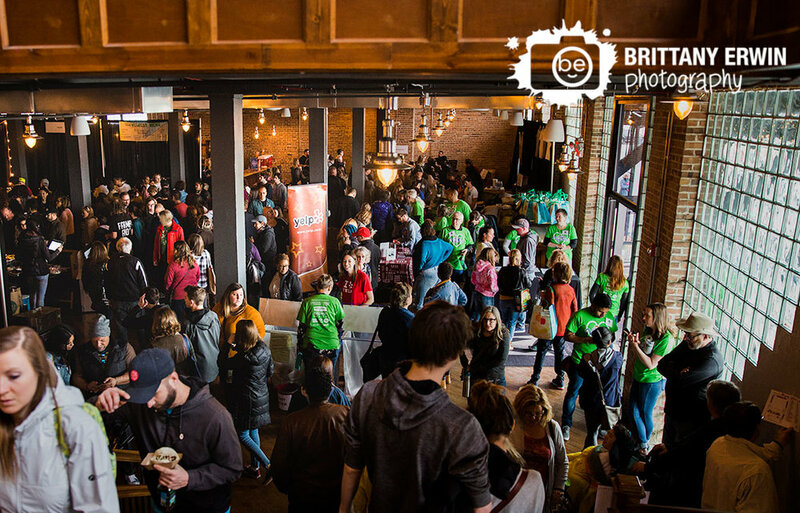 The Indy VegFest came back for it's second year and is even better! I was honored to have been asked to photograph the event for the second year in a row. If you are unfamiliar with the Indy VegFest, you should definitely check it out! 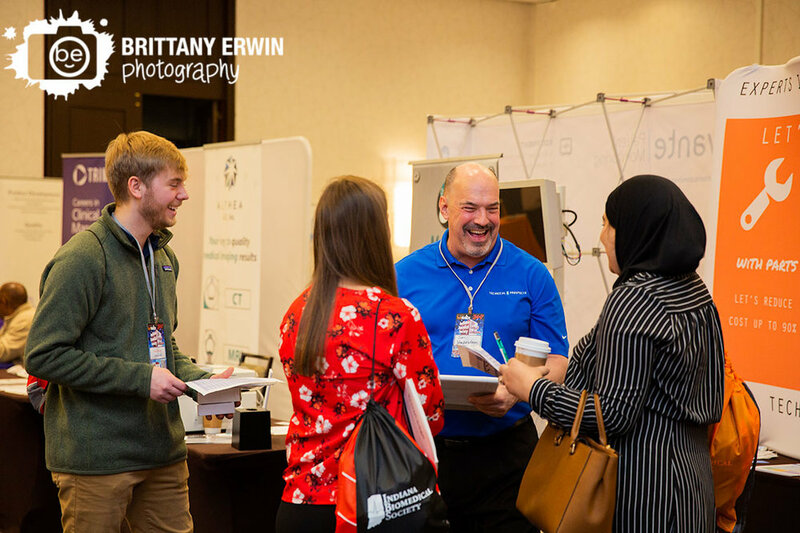 This year I was invited back by the Indiana Biomedical Society to photograph their annual conference at the Sheraton City Center hotel. Francis is not only a great chef, but a great person as well. I have had the pleasure of knowing him(and his lovely wife) for several years now and followed along on his journey to becoming the fabulous personal chef he is now. 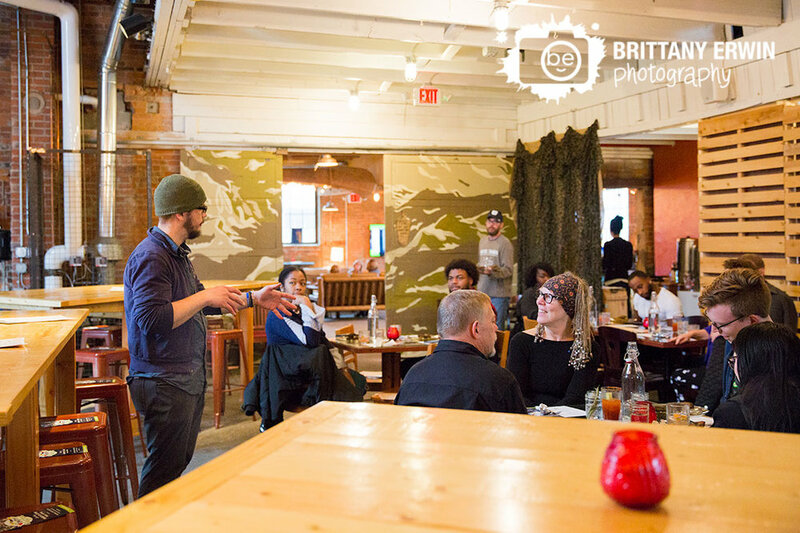 Francis is behind Proverbial Grounds, a local vegan food service that offers healty food options like his bowls, meal planning, pop up culinary experiences like you'll see in this post and a host of other things he could better explain than me.